The Raiders will open the 2018 season at home against the Rams. Jon Gruden’s second debut as coach of the Raiders was set up perfectly by the NFL schedule makers. Gruden and the Raiders open the 2018 season at home against the Los Angeles Rams for the night game of the ESPN “Monday Night Football” doubleheader. Gruden left the “MNF” booth after 10 years as an analyst to join the Raiders for a second stint. For the first time in 16 years, Gruden will be calling plays for the Raiders during a regular season game. If that wasn’t enough storylines, Gruden will go up against Rams coach Sean McVay, the 32-year-old offensive genius who led the Rams to the NFC West title in 2017. Gruden hired McVay for his first NFL coaching job in 2008 when McVay was an assistant wide receivers coach for the Tampa Bay Buccaneers. They’ll come full circle under the Monday night lights in front of the Black Hole. Well done, NFL schedule makers. The Raiders tinkered with the offensive line by moving Donald Penn to right tackle and had 2018 No. 15 overall pick Kolton Miller take Penn’s old job at left tackle. 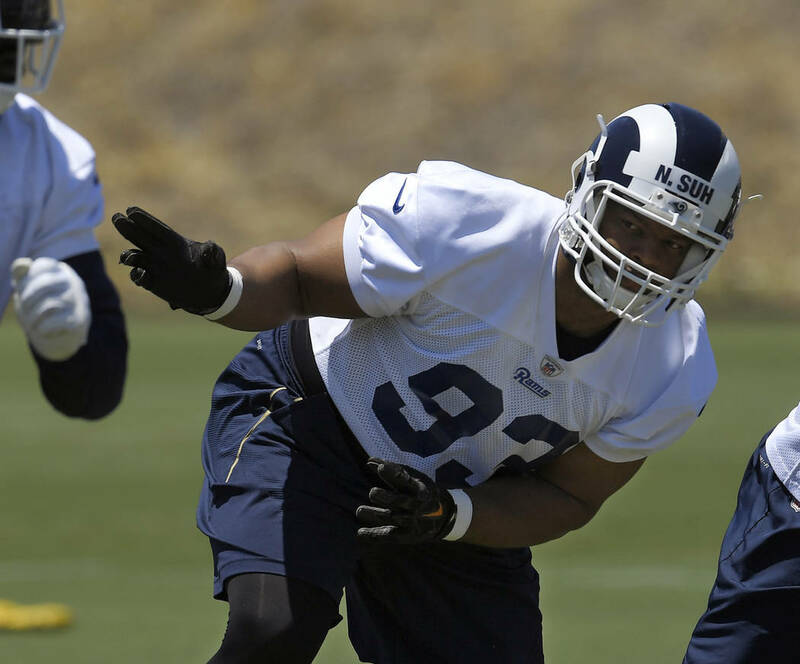 Gruden will find out quickly if this experiment is going to work as the revamped offensive line faces one of the best defensive lines in football. For Miller’s NFL debut, he’ll go up against Rams defensive end Michael Brockers. 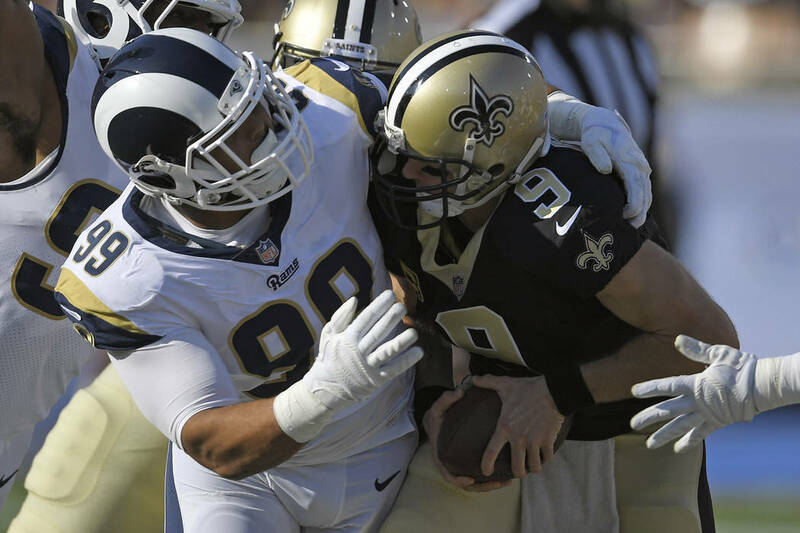 Los Angeles added former All-Pro defensive tackle Ndamukong Suh during the offseason to give the AP Defensive Player of the Year, Aaron Donald, a new partner in crime. The Rams have a dominant trio in Brockers, Suh and Donald, but lack depth along the front seven. If the Raiders’ stout interior offensive line contains Suh and Donald, Miller and Penn could have a productive Week 1. Suh wasn’t the Rams’ only splashy addition on defense. Los Angeles traded for a pair of former AFC West cornerbacks in Marcus Peters and Aqib Talib. They’ll go up against Amari Cooper and new Raiders wide receiver Jordy Nelson. Quarterback Derek Carr and the passing offense struggled last year. The Raiders won’t get many easy looks against one of the best cornerback duos in the league. The Rams’ explosive offense runs through running back Todd Gurley, the 2017 AP Offensive Player of the Year. Gurley made his fantasy football owners happy last season with 1,305 rushing yards and a combined 19 touchdowns. Raiders linebackers Tahir Whitehead and Derrick Johnson will have their hands full if Gurley is finding holes to run through. 4 Which Goff is real? Rams quarterback Jared Goff will try to prove last season was no fluke. The 2016 No. 1 overall pick bounced back from a dreadful rookie season. He was a different quarterback with McVay calling the plays. Goff threw for 3,804 yards and 28 touchdowns with seven interceptions. He could have a big outing against the Raiders’ secondary, which has three new starters. Goff will be throwing to new target Brandin Cooks, who quickly received a new contract from the Rams after being acquired from the New England Patriots. The speedy wideout joins a deep receiving corps that already featured Robert Woods and Cooper Kupp. Contact Gilbert Manzano at gmanzano@reviewjournal.com. Follow @GManzano24 on Twitter.